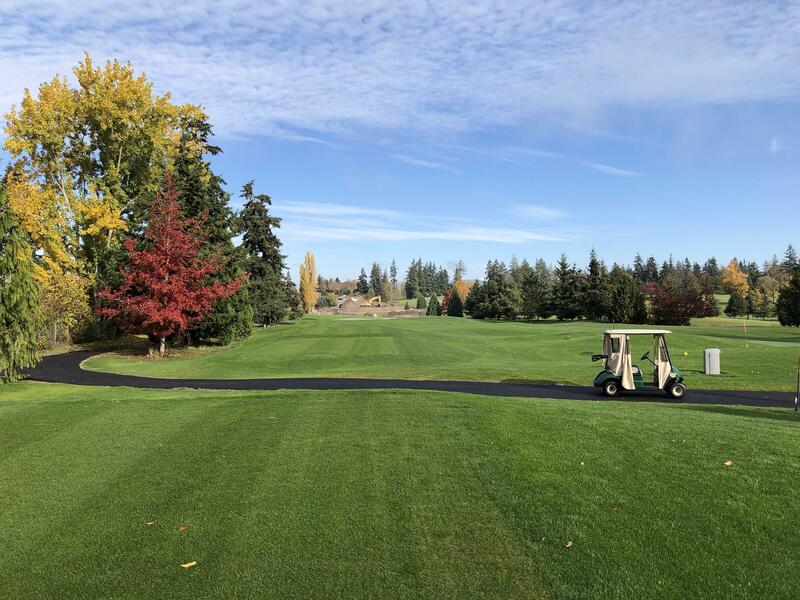 Construction update - photos taken on Oct. 27, 2018. Legion Stormwater Project - Click here for Sept. project updates and photos. 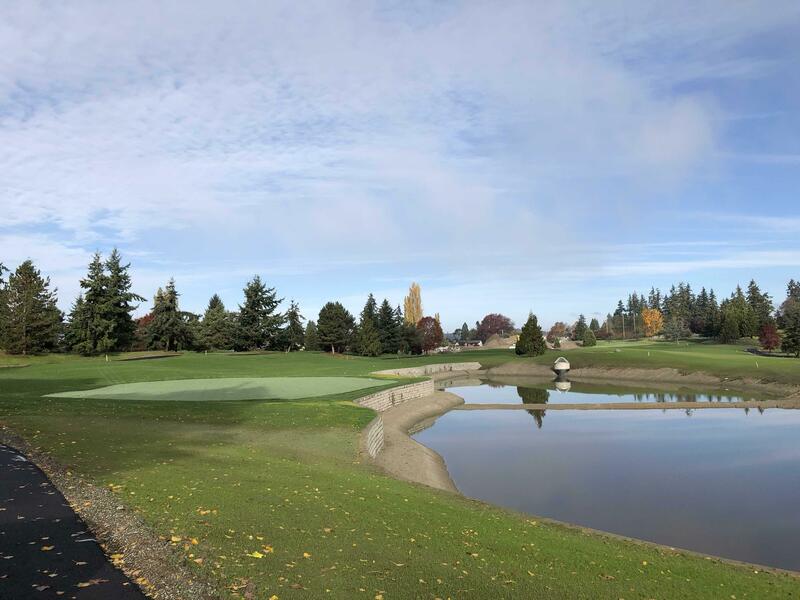 The construction project is well underway and we are looking at spring of 2019 before we will be able to open the new holes. Seeding started the last week of August on hole 12 and 13, and it looks like we are aiming towards mid-September to early October before we are ready to seed holes 14 and 15. 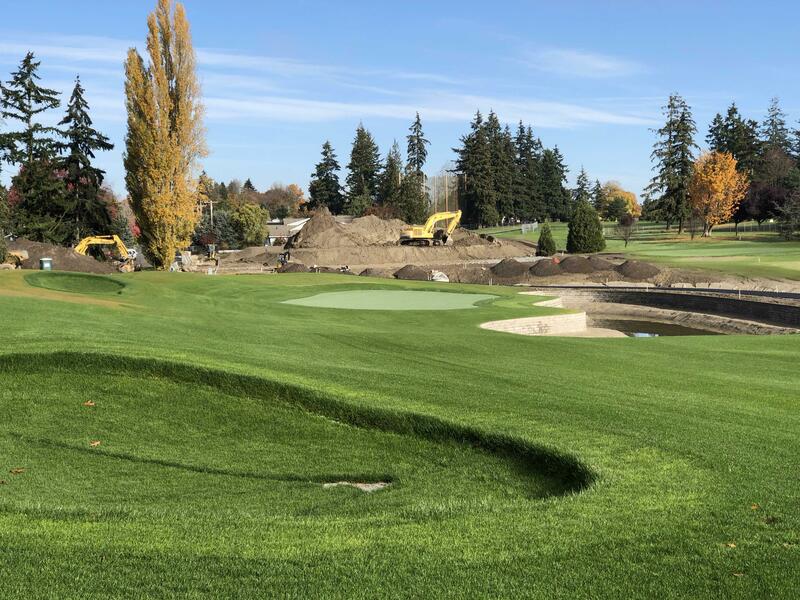 It is exciting to watch each new golf hole taking shape! The lake liners are installed and the concrete block walls bordering parts of the lakes went up during the week of August 20th. Irrigation lines are connected, drainage is in, but there is still a lot of dirt yet to be moved. The lakes edging and 15th hole tee complexes and fairways are yet to get final grading. There will be lots of construction activity in early September and look for some green as the grass starts sprouting! Below you will find some pictures taken on August 24th showing the progress, some of which is hard to see from outside the fencing. The project is getting exciting to watch. We'll keep you updated throughout the completion of the project and on projected opening dates. Top left photo: South end of the lake between 14th & 15th tees. Bottom left: Looking north along the lake wall bordering the 15th tees. A Pacific Northwest tradition since 1933. 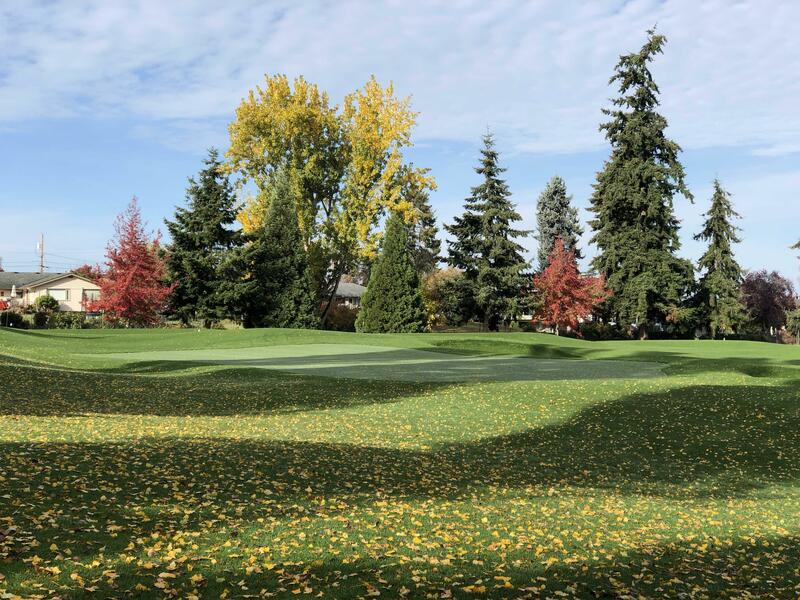 Owned and maintained by the City of Everett, and managed by Premier Golf Centers, Legion Memorial is located just 30 minutes from downtown Seattle. 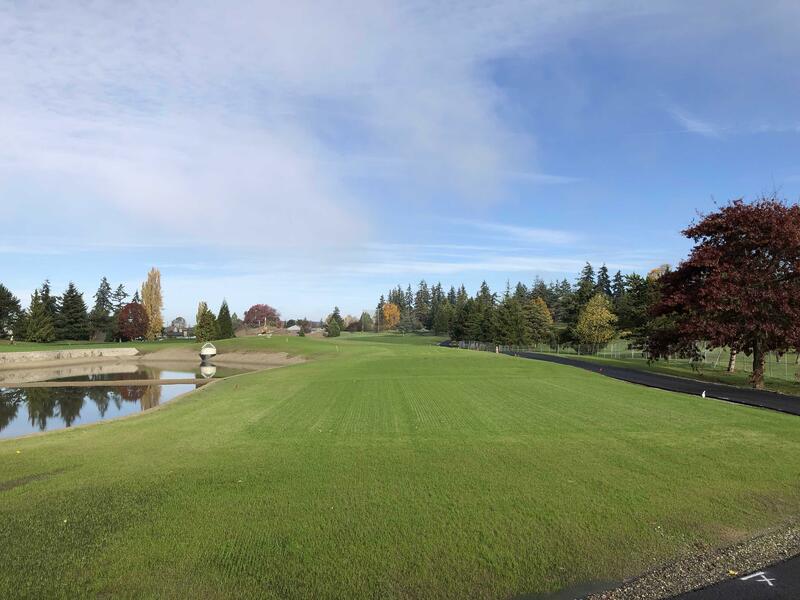 Remodeled in 1998, this beautiful golf course features some of the area's most spectacular views of the Olympic Mountains, Puget Sound, Mount Baker, the Snohomish River and Cascades. 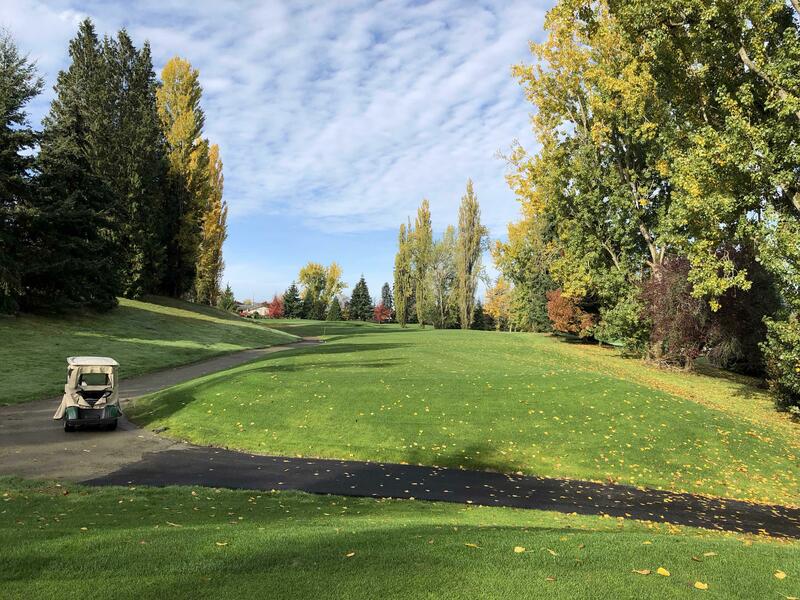 Set in a tranquil forest setting, the course serves to heighten the experience golfers enjoy when they choose Legion Memorial for a round of golf. Legion Memorial offers golf instruction through our professional teaching staff to players at every age and every level. We want you to be comfortable and get the most out of your lesson thus, individual and group lessons are available. Our pro shop is here to help you find the right equipment and accessories to improve your game. We also carry apparel to help you stay comfortable out on the course. We invite you to visit Legion Memorial to play, to learn, to practice, to enjoy!